Is this girl familiar to you? From this angle look like Avril Lavigne rite? But the fact is NOT!!! Recently you can watch her performance in theater. Oh she come from Australia. 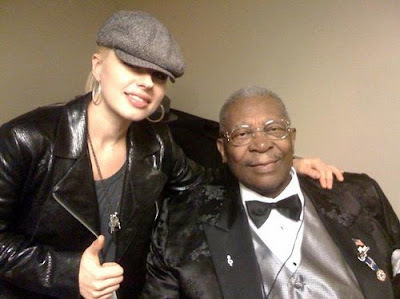 A singer and a greatest guitarist ever I knew beside Avril Lavigne. Wearing leather jacket and a nice cap? Very nice rite the girl? 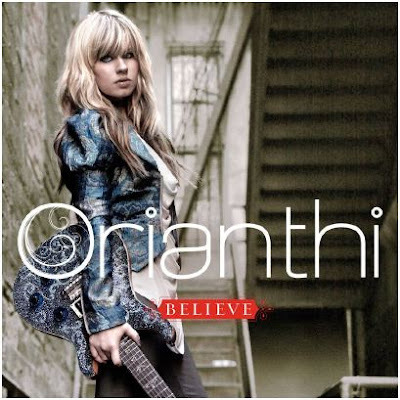 Ok, her name is Orianthi. A very cool guitarist and beautiful girl. Why i say her performance curently can be seen in theater? Because she is one of the guitarist in 'Michael Jackson - This Is It' movie. If you guys watch this movie, definitely you seen her playing guitar with so much feeling and cool. If she is my guitar teacher, I bet in one month i be professional(beautiful girl always have visible power). Recently she had release a new album named "Believe". All those song is really nice. Go check out the net for her music. Of course please go to cd shop purchase her album to support her.